The Division of Science is pleased to announce that a generous gift from the M. R. Bauer Foundation will again this year fund ten M. R. Bauer Foundation Summer Undergraduate Research Fellows. The due date for applications for Summer 2017 is February 27, 2017 at 6:00 PM EST. M. R. Bauer Fellows will receive $5000 as a stipend in support of their summer research (housing support is not included). Students who will be rising Brandeis sophomores, juniors, or seniors in Summer 2016 (classes of ’18, ’19, and ’20), are eligible to apply. A commitment from a Brandeis Division of Science faculty member to serve as mentor in Summer 2016 on a project leading to a senior thesis is required. The Division of Science Summer Program will run from May 30 to Aug 4, 2017. 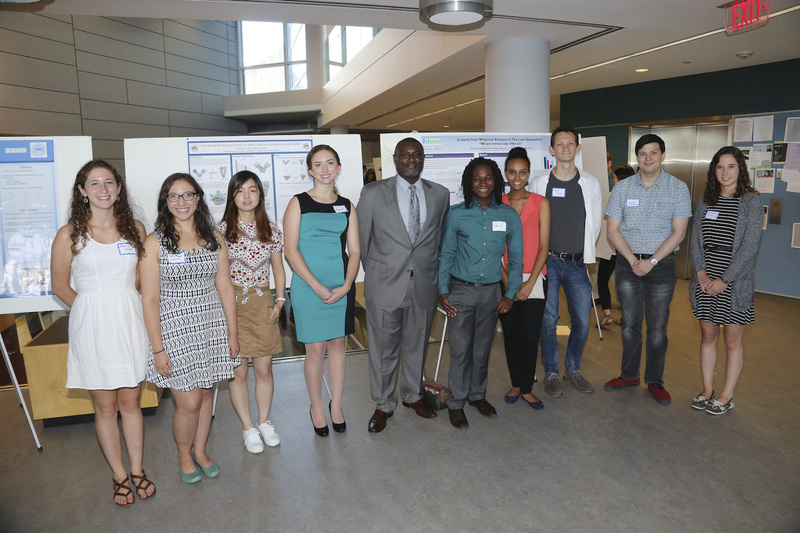 M. R. Bauer Fellows are expected to be available to do full time laboratory research during that period, and must commit to presenting a poster at the final poster session (SciFest VII) on August 3, 2017. M.R. Bauer Fellows are also expected to give back to the University in ways that promote science and research.